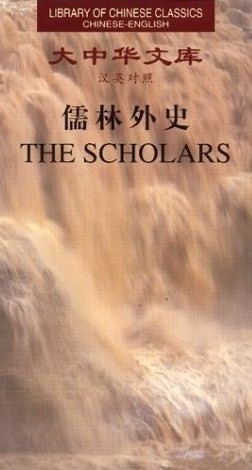 In 1957 Silk Pagoda, Published the book " The Scholars." In 2008 Thomas Breuer, Published a ' Kindle ' digital version of the book. All of these are available for purchase, through the likes of Amazon.com and cgcmall.com. 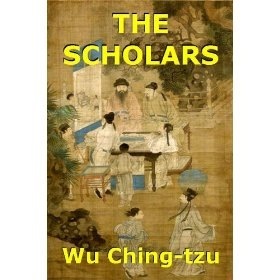 We are not now talking about the " Public Life," of these Scholarly few. We are talking here of the " After Public Life," when these Scholars had made their minds over - to ' Re-Treat,' from this part of their life. Some headed to the mountains in a reclusive search and others, built their own " Private Gardens," to bring the reclusion, to them. We are not talking here of " a reclusive corner " in the Chinese Garden. We are however, talking of the creative deeds, that come out of such; that are nurtured there, for the entertainment and pleasure of others. 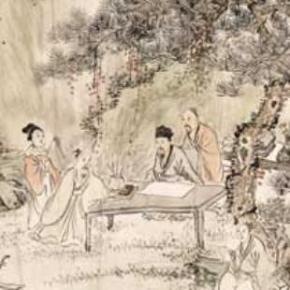 Be that, Chinese landscape art, calligraphy, poetic or musical expression; worthy of being featured and / or staged in a Chinese garden scene. WE INVITE YOU to advise these to Chinesegardenscene. the contrasts, between the seasons and moods evoked, inside & outside the Chinese garden's walls.